Why are young people running for office? What challenges are they facing and how does their age impact their views on public policy. Join us May 15 for this panel discussion as five of the metropolitan area’s most dynamic young elected officials join us to discuss their own paths to elective office and what they are doing to impact change for our region. The panel will be moderated by CUCNY board member John R.D. 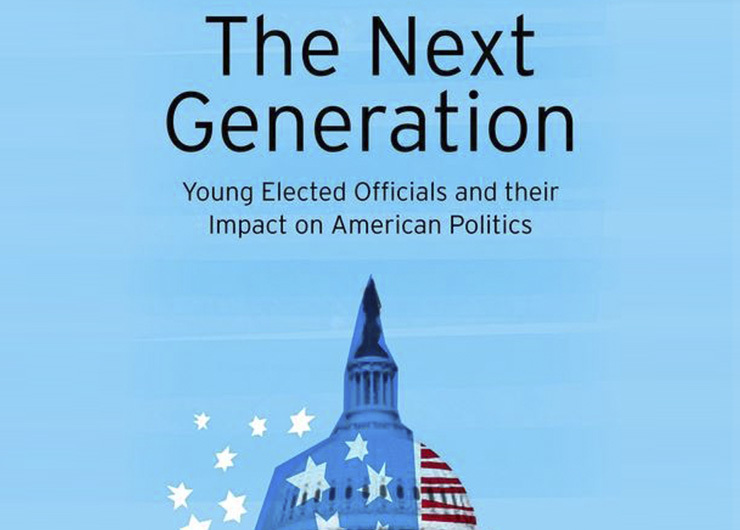 Celock, the author of The Next Generation: Young Elected Officials and their Impact on American Politics. Join us for an exciting evening of exploring the future of American politics. Hoboken Councilwoman Emily Jabbour – A Columbia University School of Social Work alum elected to office last year, Councilwoman Jabbour chairs the city council education committee in a city that has a growing population of young professionals and young families. New York City Councilman Stephen Levin – Representing the Brooklyn neighborhoods of Brooklyn Heights, Williamsburg, Greenpoint and DUMBO, Councilman Levin chairs the general welfare committee and has been very involved in promoting participatory budgeting to promote resident engagement in city government. New Jersey Assembly Majority Whip Raj Mukherji – Do not let Assemblyman Mukherki’s status as New Jersey’s youngest legislative leader confuse you, he’s already a political veteran at the age of 33. He’s in his third term in the state Legislature and is a former deputy mayor of Jersey City, one of the fastest growing cities in the region. Westchester County Legislator David Tubiolo – The youngest county legislator in Westchester history, Legislator Tubiolo is focused on the county’s senior citizen population in his role as chairman of the senior and constituencies committee. New York City Councilman Eric Ulrich – The second youngest member of the NYC Council, Councilman Ulrich has represented the Rockaways since 2009. He has been an advocate for rebuilding his community after Superstorm Sandy and as a former chairman of the veterans committee worked to create the city’s Department of Veterans Affairs, making the city’s veterans agency permanent to drive services to this population. Registration is open to our Columbia community.